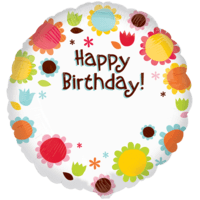 For a more personalised balloon gift, send one of our personalised balloons! Imagine their surprise at not only a big bunch of balloons but that their balloon bouquet will have their name on it! 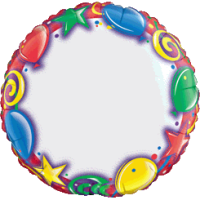 We can personalise Birthday balloons, Get Well balloons, New Baby balloons, Congratulations balloons and for many other occasions. You can upgrade your personalised gift to a perfectly decorated bouquet and we can get it there tomorrow! This Superb Happy Birthday Personalised Flower Bouquet Balloon Gift will intrigue and thrill a lucky family member or friend! Expertly put together and blown up by our in house qualified balloon decorators! 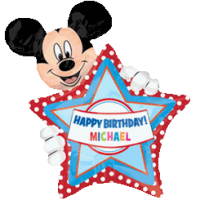 This Superb Mickey Mouse Giant Personalised Birthday Balloon Gift will intrigue and thrill a lucky family member or friend! Expertly put together and blown up by our in house qualified balloon decorators! 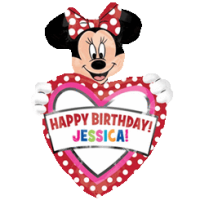 This Superb Minnie Mouse Giant Personalised Birthday Balloon Gift will intrigue and thrill a lucky family member or friend! Expertly put together and blown up by our in house qualified balloon decorators! 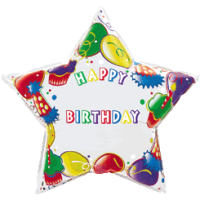 This Superb Personalise Happy Birthday Name & Age Balloon Gift will intrigue and thrill a lucky family member or friend! Expertly put together and blown up by our in house qualified balloon decorators! 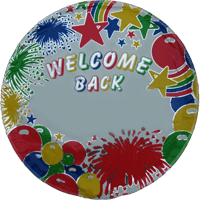 This Superb Colourful Own Message Balloon Gift will intrigue and thrill a lucky family member or friend! Expertly put together and blown up by our in house qualified balloon decorators!